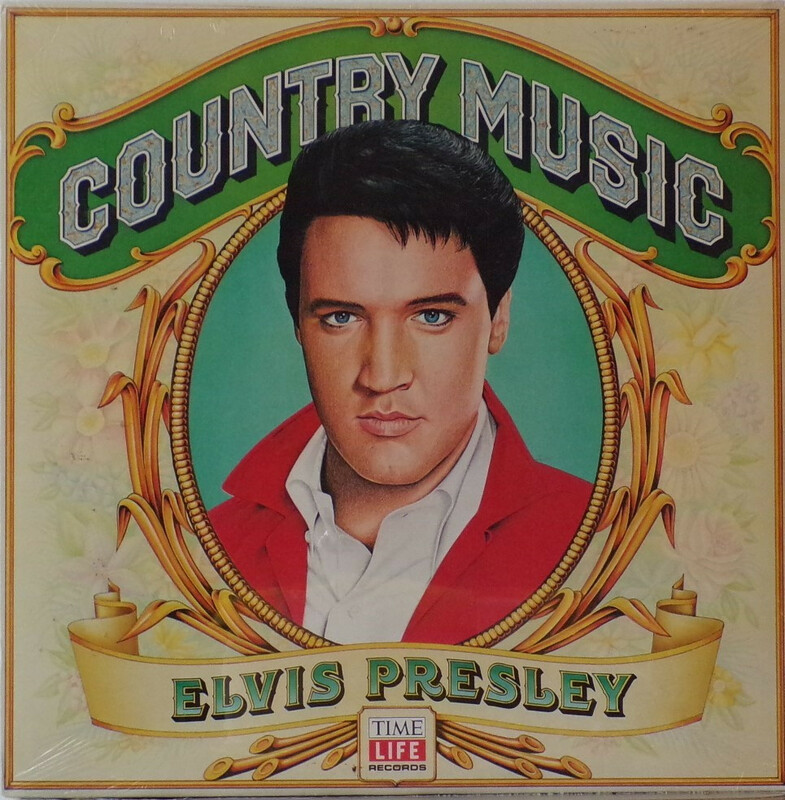 Elvis Country Music album was only sold through a select grocery store chain in the spring of 1981. It was released through Time Life and was only available for a short time and was deleted after 14 days. 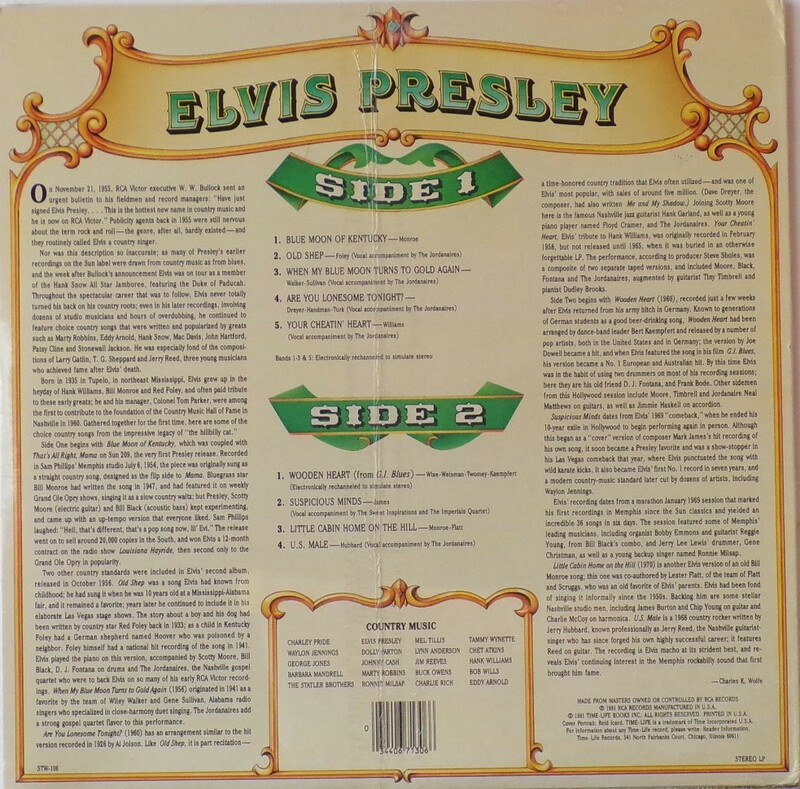 This was the only Elvis album released in this series and it contains 9 songs. Front Cover : Photo of Elvis. Title across top. Rear Cover : All text back. Catalogue number bottom left. Printed in U.S.A. bottom right. Side 1 : Time Life logo top center above title. Side 2 : Time Life logo top center above title. *NOTE* Released through Time Life. This copy is sealed.